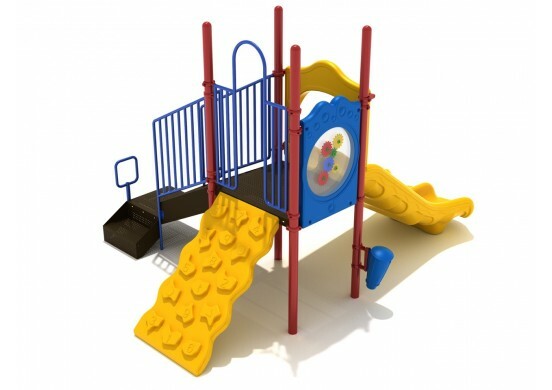 Tuck this exciting play structure in to any space on your playground. 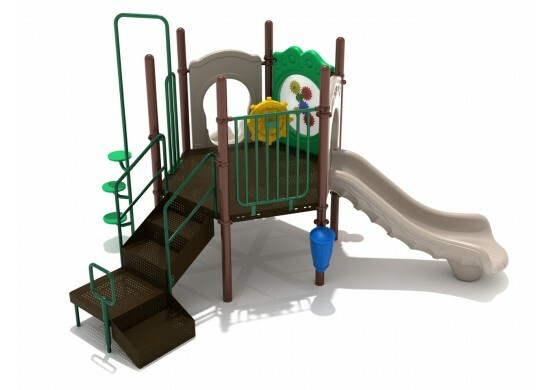 The compact design of the Beaverton play structure means it can easily fit into a smaller space, such as at a church, day care, or preschool. 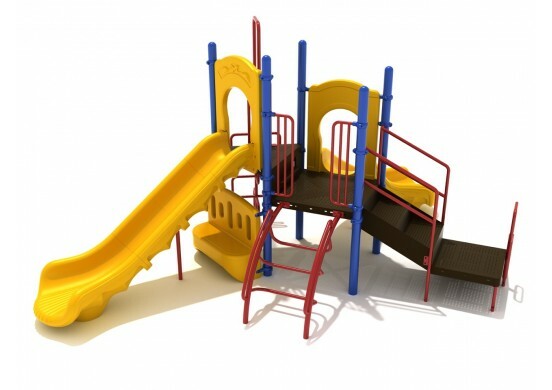 It can also be added to an existing playground to give children ages 2 to 12 more play options. A transfer station with stairs and a figure climber lead up to the deck of the unit. Once atop the deck, children will find a gear panel to explore before hopping on the double slide and heading back to the ground. 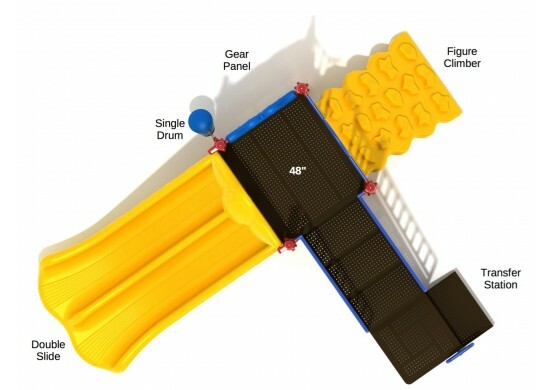 A post-mounted single drum on the ground level adds another element of fun to the structure. 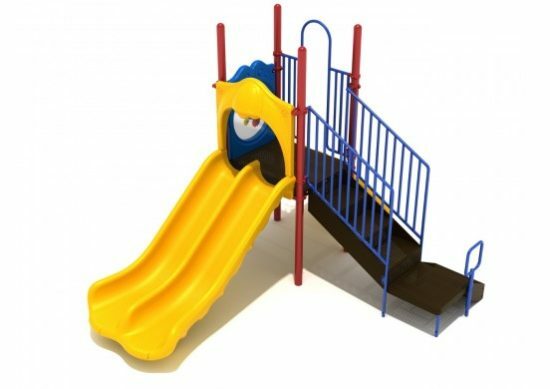 When purchasing the Beaverton play structure, or any other play system, do not forget to look into what safety surfacing you want. It is important to have safety surfacing as it helps to prevent injury during play time. Poured rubber surfaces and loose-fill surfaces are available to fit your needs.